Did you know that September is Whole Grains Month? I didn’t even know there was such a thing. 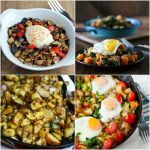 In any event, I’ve decided to take this opportunity to explore whole grains over the next four weeks, including some easy recipes to help add more whole grains to your daily meals. Many of you probably know that whole grains are good for you and that you should be eating more of them, but practically speaking, it can be difficult to transition to a diet that includes more whole grains than refined grains. 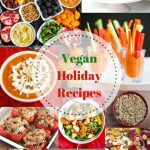 I’m hoping that by sharing some information on the benefits of adding more whole grains to your daily diet, as well as including some enticing recipes, that you will try something new, whether it’s eating a bowl of oatmeal for breakfast instead of having a bagel, trying whole grain pasta, or substituting quinoa in a rice pilaf recipe. To help launch Whole Grains Month, I consulted with the Program Manager for Oldways and the Whole Grains Council. But before we get started, let’s start with a few basics. Whole grains are cereal grains that contain three parts — the germ, endosperm and bran. When grains are processed (e.g., white wheat flour), the germ and bran are stripped away, leaving just the endosperm. The germ is packed with protein, iron, vitamins and antioxidants, and the bran contains valuable minerals and vitamins, as well as insoluble fiber. The endosperm is the least nutrient dense part of the grain. When you eat whole grains, you are consuming all three parts of the grain, including the most nutritious parts. Amaranth, quinoa and buckwheat are not true whole grains, but their nutritional profile, preparation and use are similar. Now, onto the Q&A session with Karen Mansur, Program Manager for Oldways and the Whole Grains Council. · What are the biggest benefits of including whole grains in your everyday diet? By adding whole grains to your diet, you can lower the risk of many chronic diseases, such as stroke, diabetes and some cancers. · What would you suggest as the easiest way to start introducing whole grains into the daily diet? Start by looking in your pantry. You might be pleasantly surprised to see just how many whole grains you already eat, like popcorn, whole corn tortilla chips and oatmeal-based granola bars. 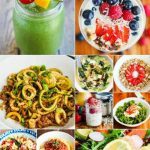 When you’re ready to go to the next step, look for versions of your favorite foods that are made with a mix of whole and refined grains, to start your tastebuds on the road to enjoying the fuller, nuttier taste of whole grains. Every bit of whole grain you add to your diet helps. 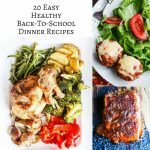 · Many kids are used to eating white bread and white pasta. Do you have any suggestions for kid friendly whole grains? Whole white wheat is the perfect transition grain. The mild flavor and soft texture of whole white wheat bread turns kids into whole grain fans! As for pasta, many of their favorite macaroni and cheese products are available in whole grain form. You might have to sample a few different pastas to find your favorite, but be sure to add quinoa pasta to the sampling list. One of my colleagues here at work adores it; she finds it incredibly similar in taste and texture to white pasta. · What is the recommended daily consumption of whole grains for adults and children? The new 2010 Dietary Guidelines for Americans recommend all of us make half or more of our grains whole, with adults and kids age 9 and up getting at least 3 to 5 servings of whole grains every day. For younger children, the recommendation is 2 to 3 servings or more. A serving size is about an ounce, which is one slice of bread or a bowl of cereal. · When buying whole grain breads and pastas, what’s the best way to tell which products are the best for you? Food labels can be so confusing. You’re right; labels can be very confusing and that’s why we developed the Whole Grain Stamp program. 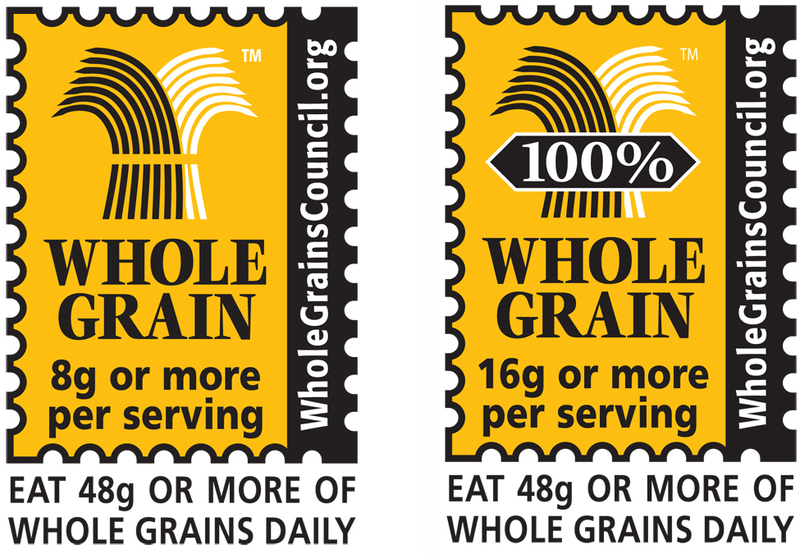 By looking for our Stamp, consumers can feel confident about the whole grain content in the product they’re choosing. 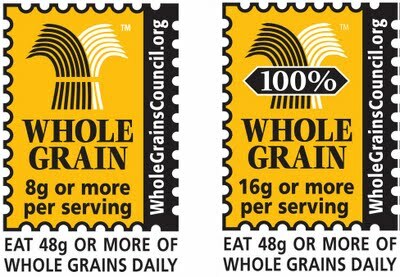 If there isn’t a stamp, check the ingredients list and make sure you see “whole [name of grain)” – such as whole wheat four – near the top of the ingredient list. 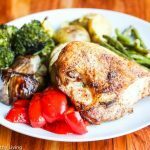 · When you first start cooking with whole grains, it can be intimidating. Do you have any words of advice for someone new to cooking whole grains? Most packaging will have instructions on cooking times. If you can cook rice, you can cook just about any grain. While some whole grains take longer to cook, others are super-quick. Bulgur and quinoa, for example, are ready in less than 15 minutes. Cooked whole grains can be refrigerated or frozen, so you can cook up a big batch and store the rest for another meal. · What are your favorite whole grains? There are so many to choose from and I love them all for different reasons. I like the versatility of oats. It’s amazing to me that the same hearty oats I eat for breakfast can become a crunchy granola snack or a savory creamy risotto – miraculous! · Name your favorite ways to enjoy whole grains for breakfast, lunch, dinner, and dessert. For breakfast, especially on cool mornings, I love steel-cut oatmeal mixed with cranberries, almonds, vanilla and a sprinkling of brown sugar. I like a power-packed lunch of tabbouleh (made with bulgur) scooped up with whole-wheat pita chips. 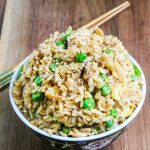 My favorite dinnertime go-to is a wild, brown and red rice pilaf. I serve it up alongside grilled chicken or fish. When it comes to dessert, especially apple-picking time, I love a good old-fashioned apple crisp with a cinnamon and granola topping. · Do you have a favorite recipe using whole grains you’d like to share? I’m always looking for new ways to enjoy whole grains, but lately, I’ve been mixing them up in salads. Starting with 2 cups of cooked bulgur, buckwheat or farro, I add a cup of roasted or fresh vegetables, a handful of chopped fresh herbs, a little olive oil and a squeeze of lemon juice, and season it with a little salt and pepper. It’s a flavor-packed and super-healthy meal or snack for any time of the day. What are some of the ways you incorporate whole grains into your daily meals? 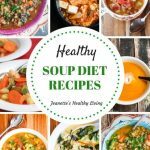 What are your favorite whole grain recipes? Our goal is to entice as many people to incorporate more whole grains into their daily meals, so please share! I would like to thank Karen for taking the time out to answer these questions, which I hope will encourage all of you to try to incorporate more whole grains into your daily meals starting this month. And now for some fun…to celebrate Whole Grains Month, The Whole Grains Council is running a Whole Grains Stampede Sweepstakes for the entire month of September, so be sure to visit their site and enter for a chance to win some prizes (open to all U.S. residents). Great post! I love whole grains. i love whole grains! i cant really eat white bread ans white rice anymore.. it just feels like fluff!! a great informative write up! Kalyn and Richa, glad to hear you all love whole grains. Once you try them, you realize they have so much more texture and flavor than refined grains. What a helpful, intelligent post – many will benefit from this information Jeanette and the clear manner in which you set it out. I love whole grains and rarely eat white bread/rice. 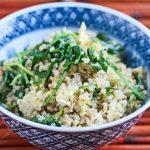 great informative article, but the sweepstakes is only open to US residents 🙁 I cooked quinoa for the first time this week, and love it! 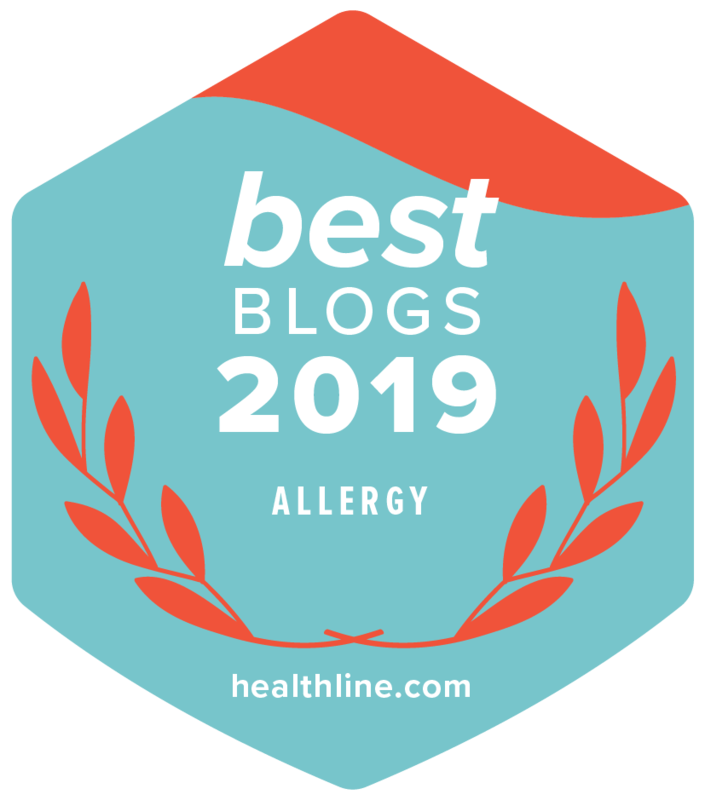 Hope you all will continue to follow along and cook along for the month of September…more posts on whole grains to come with some fun giveaways (sorry, these giveaways are for U.S. residents). What a great post Jeanette. 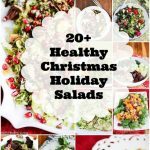 Really helpful as well as a good reminder to add a few more whole grains and fun ways to sneak them in, like our salads. what an informative post~ lately i've been eating quinoa twice a day! i've noticed it sits well with my digestion and i feel great afterwards! Great post. As you know we are only a whole grain familyI value this info.